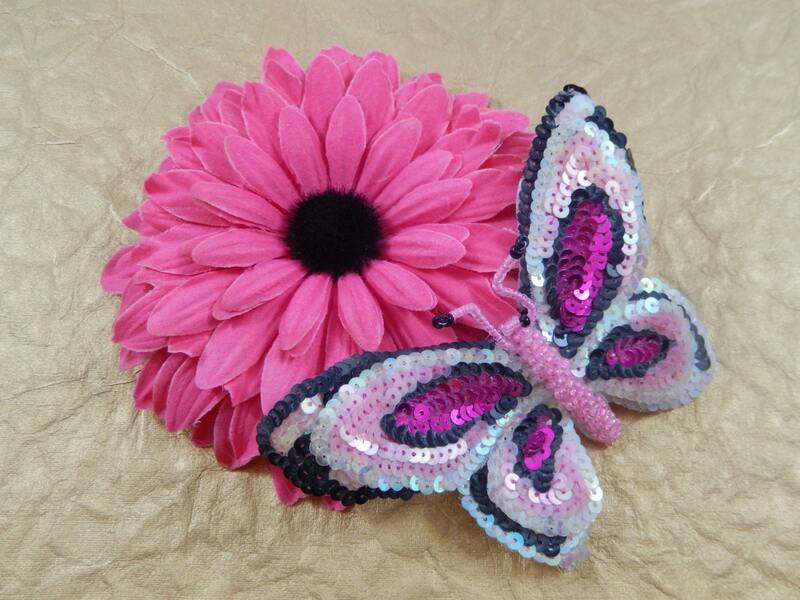 This is a large sequin and bead butterfly applique pin from my personal collection. It is from the 70s or 80s and measures 5' x 3 1/2". 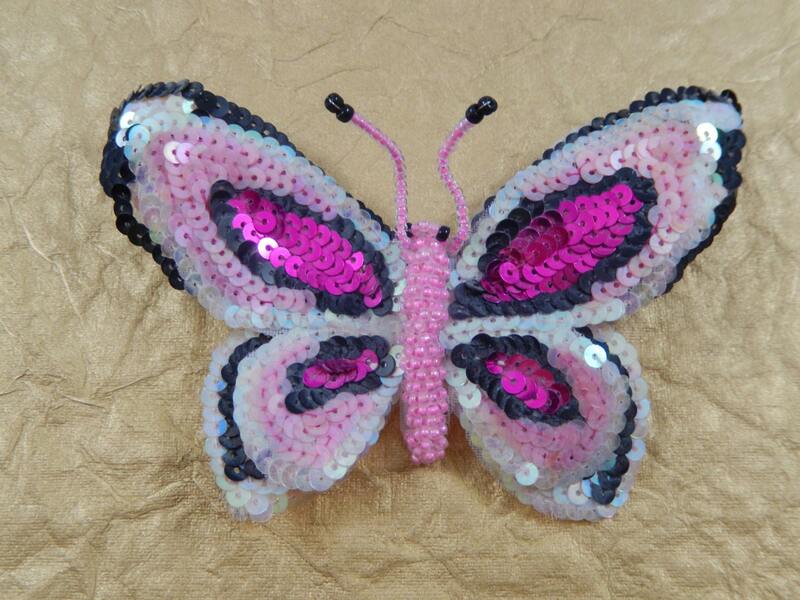 The wings are fuchsia, pink, black, and AB sequins. 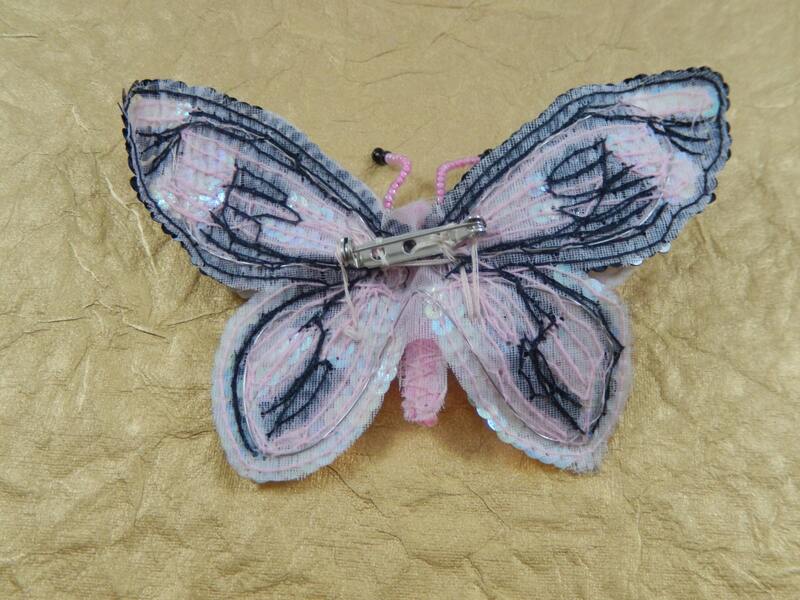 The body and antenna are pink beads with 2 black bead eyes and 2 black beads at the end of each antenna. The antenna are wired so that you can move them to whatever position you want. All of the threads on the back are tight with no loose ones. The pin is straight and moves smoothly and is tight on the applique being sewed on. This is a unique and beautiful piece and would look outstanding on anything black for dressy or casual.